THE second batch of scholars who are recipients of a three-year scholarship at the Miyakonojo Higashi High School left for Japan last March 17 to study General Health and Automotive. The scholars, consisting of 10 incoming senior high school students, are from the different schools in Negros Occidental. They are Reneleen Apatan of Doña Montserrat Lopez Memorial High School, Faustinne Mar Bulanon of Don Hilarion G. Gonzaga Memorial High School, Mark Amiel Doriman of Hinigaran National High School, Zion Orven Gallo of Victorias National High School, Helena Grace Gasataya of Sagay National High School, Hans Philippe Gubaton of Cabacungan National High School, Trisha Mae Lucio of Julio Ledesma National High School, Ranzel Magbanua of Eusebio Lopez Memorial Integrated School, Curly Joyce Palacios of Philippine Normal University Visayas and Lorraine Tudillo of Binalbagan National High School. A fellowship and farewell dinner for the scholars was held that same day, attended by Governor Alfredo Marañon Jr., Vice Governor Eugenio Jose Lacson, acting Provincial Administrator Lucille Gelvolea, OISCA (Organization for Industrial, Spiritual and Cultural Advancement) Training Center Director Shigemi Watanabe, Thelma Watanabe and the parents and other family members of the scholars, among others. Watanabe said that the previous batch of students are doing very well in Japan and assured the parents of the scholars that Japan is a safe place for them to study and gain a good life experience. Marañon challenged the scholars to surpass the achievement of the first batch, and that if they do well, their future will be bright and secured. “Never forget to pray and ask God for guidance and strength. He has chosen you to be ambassadors of goodwill in Japan,” he added. Lacson also expressed commitment toward the scholarship grant saying that the government will definitely continue to support it. He said that there a lot of students who also want to avail themselves of the program and it is in the hands of the scholars if they will also be given the same opportunity, adding that while they are in Japan, they should be in their very best behavior. The said three-year scholarship may lead to another scholarship grant at a university and possible employment in Japan in the future. The international education program is envisioned to improve the economic status of the ten poor but deserving students and their families. 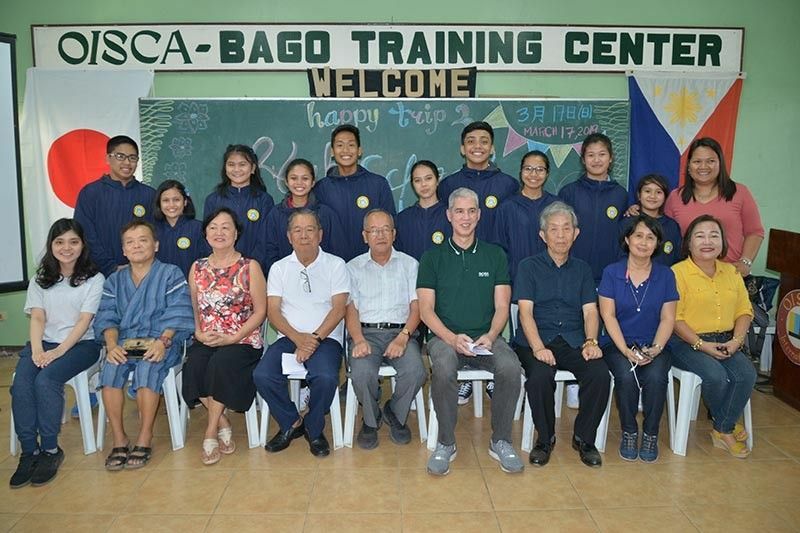 Prior to their departure, the scholars also studied Nihonggo and Japanese culture at the OISCA Bago Training Center in Bago City.